For over twenty years the CAPC congregation has been facilitating a free weekly dinner on Fridays night 6-7pm for the hungry of Rockridge and Oakland. The meal effort seeks to respond to the hungers of both the homed and homeless for food, community and also a place to serve others. The meal is limited to 85 people and follows a strict schedule to minimize problems. The troubling economy of the past years has contributed to a drying up of funds. The meal is encouraged by repeated donations of food from local merchants and occasional donations from neighbors. We manage to serve a meal each week for $2 or less per person, often feeding 100 people with $200 or less. The church partners with other associations to accomplish this social action, working with Aurora School, North Oakland Community Charter School and the Montclair Rotary Club. 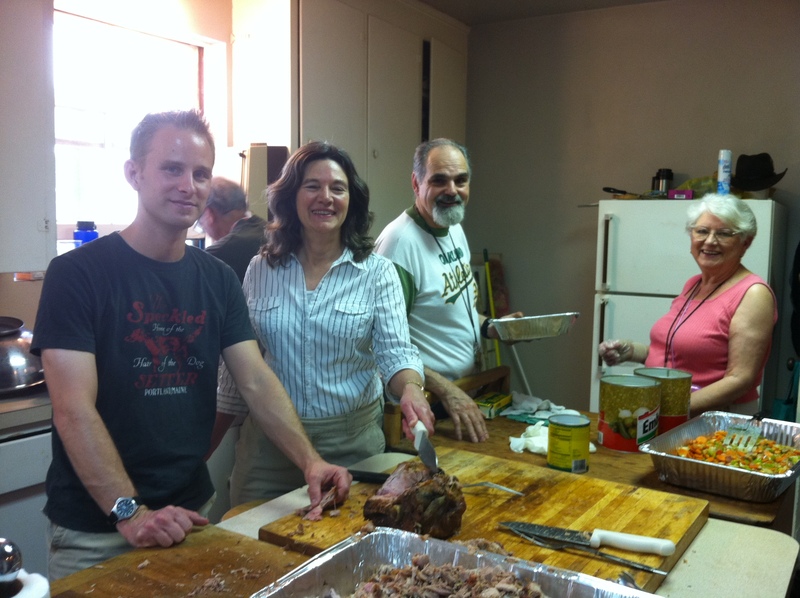 Many families and Rockridge residents volunteer each week to prepare and serve the meal. We are in need of more help and partners, in terms of volunteers and also in donations, to fund the meal. We shut the meal down in late summer for a month to raise more funds. 100% of all donations to the Friday Night Meal goes to purchasing food, there are absolutely no staff or administration costs. All donations are tax deductible. Where else can you make as big of an impact on our shared city with such little effort? 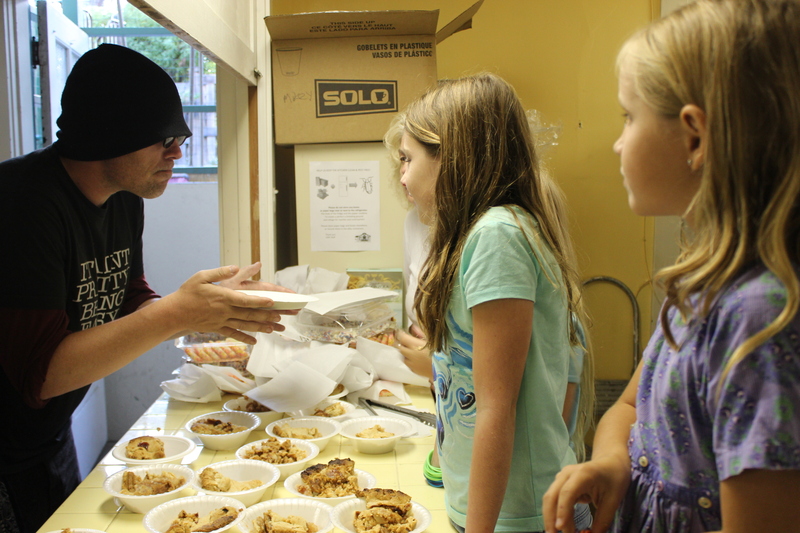 If you would like to help respond to the hungers of Oakland and Rockridge you can contact the church at (510) 658 -3665 or email us at CAPCFridaynightmeal@gmail.com. This entry was posted on September 10, 2012 by capcoakland in Friday Night Meal, Uncategorized and tagged Friday Night Meals.